Divine Groove Band (formerly 3 Trick Pony), is a band consisting of members from a collection of Seattle area musicians who’ve all played (and still do) in some of the area’s top acts. Founded by and still anchored by drummer/vocalist Jimi Foreman, the band pulls from a few players to come up with a trio for any given performance. 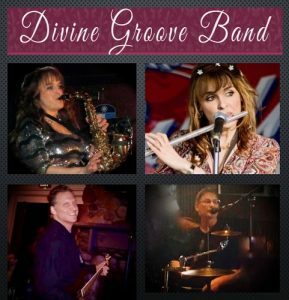 Anything from Classic rock to Funky Dance tunes, Divine Groove Band has the variety and versatility to play the style of music you want for your event. Always 100% LIVE, you can expect a great professional performance from the band.